The Child Care Department at GMS is one of the most successful departments in the school and the staff are rightly proud of all their students and their achievements. At present the Year 13s are applying for places to further their career choice. 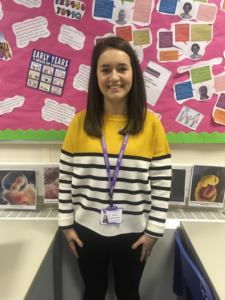 Just recently, one Year 13 heard that she had gained a place in the prestigious Norland College to become a Norland Nanny. Emily Green had to undergo a rigorous interview process, so many congratulations go to her for clearing all the hurdles to be successful. Norland graduates are highly sought after so employment opportunities, upon leaving the College, are many and varied.